For a fuss-free, even and consistent cooking. Experience the convenience of high-temperature cooking; sear, braise and roast meat, fish and vegetables in one single dish with the KitchenAid Casserole. Take your meal from the stovetop to the oven for fuss-free, even and consistent cooking. 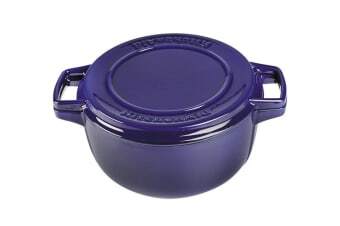 The KitchenAid Casserole features a ridged-surface lid which can double as a grill for meat, fish or vegetables.